Panoramic lake views & private side preserve on cul-de-sac for the ultimate locale at 141 Brookhaven Court in Preston in PGA National. Newly built & already remodeled. A long paver driveway & French doors greet you. Sensational windows & soaring ceilings bring light from all directions. Fabulous entertaining dining featuring stone columns, hardwood, & burn-out sheers. A WOW gourmet kitchen utilizes mosaic backsplash, pulverized granite, cherry wood & the best appliances. Picturesque windows overlook the lake from the family room. The master is spacious with 2 walk-ins & oasis bath. Remodeled guest rooms keep company coming. The den is perfect for gathering thoughts. Next door is a stylish powder room with copper sink & pebble floors. Outdoor living is divine with covered/open loggia & pool. 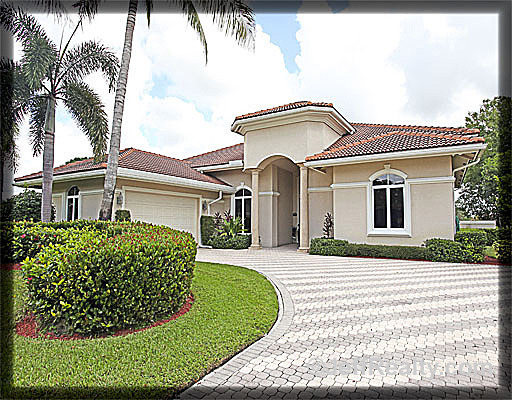 Posted in PGA National, PGA National homes, PGA National homes for sale on October 3, 2011 at 11:10 am.